WATERMELON FAVORITES 17 TREATS YOU MUST TRY! You cannot celebrate Summer without cold watermelon. I am going to show you how to make an easy watermelon salad to enjoy on a hot summer day. You can whip up this watermelon salad in minutes with watermelon, blueberries, lemon, sugar, and mint. You begin by making a simple syrup. 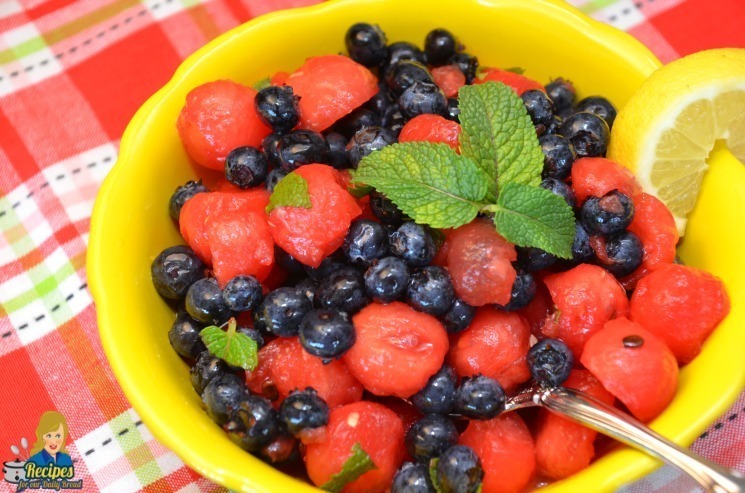 Stop by and see step by step how to make this refreshing Blueberry Watermelon Salad. For an easy dessert, kick up this Simple Watermelon Salad by serving it over a piece of pound cake or angel food cake. This dessert made with watermelon salad is a perfect light, colorful treat on a hot summer day or 4th July. See Both These Recipes here, Blueberry Watermelon Salad. To begin making this lemonade, you make a simple sugar by combining a cup of sugar with a cup of water. Heat it on the stove or even in the microwave until the sugar has dissolved. The water will turn clear when the sugar has dissolved. It only takes about a minutes. Cut up about 6 cups of watermelon and add it to a blender. Puree the watermelon in a blender or food processor and then put it in a strainer on top of a bowl. 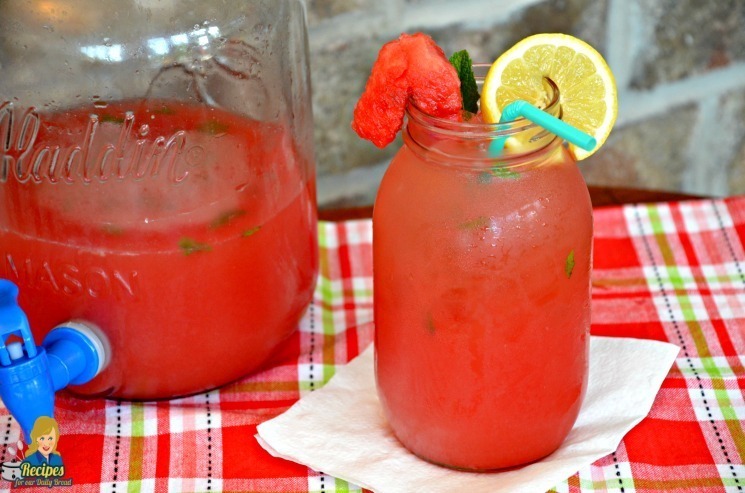 See full recipe here, Watermelon Lemonade. 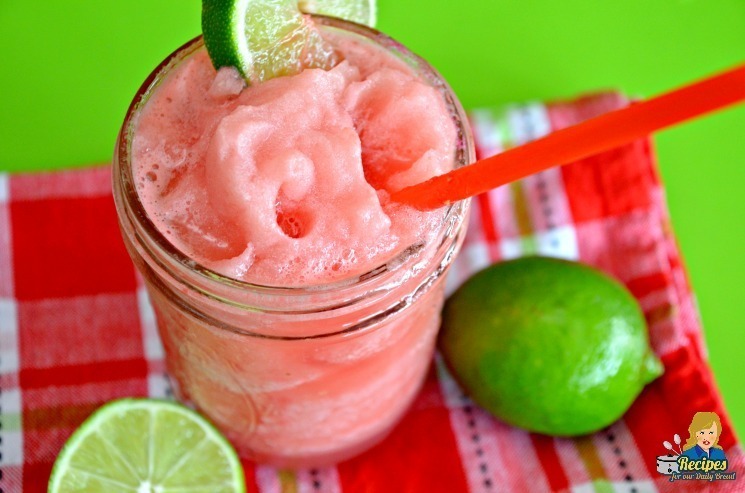 On a hot Summer Day, cool off fast with this Frozen Watermelon Limeade Slushie. It is cold, sweet, tangy, and fantastic. Use your blender to whip up this easy frozen watermelon limeade treat for your family or friends in minutes. I am going to show you how easy it is to make. What Is In This Frozen Watermelon Limeade Slushie? You only need seedless watermelon, lime juice, sugar, and ice. 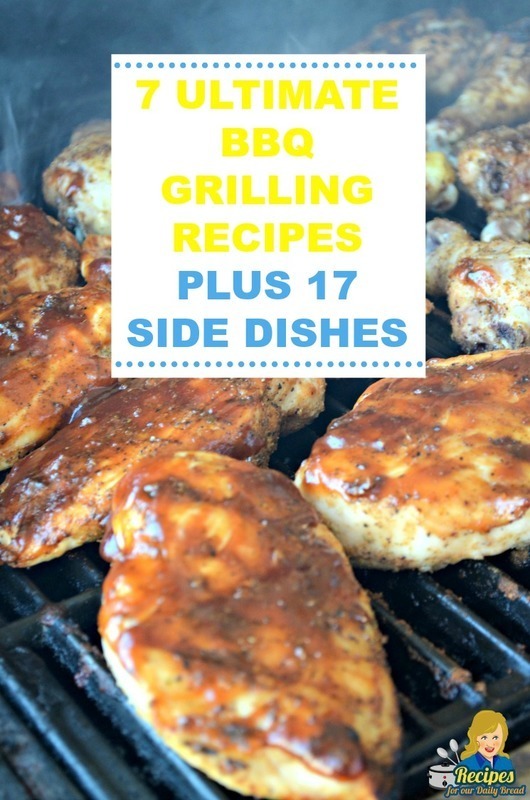 BBQ Grilling Recipes – This post contains 7 of our family favorite grilling recipes plus 17 of the best BBQ Side Dishes to go with your ribs, chicken, or burgers. Do not miss the 15 Fabulous Summer Desserts. See all these recipes here, Grilling Recipes.